NAR Station is found within NAR Park, a four acre cultural and historical park located in Dawson Creek, BC. As the railhead for the Northern Alberta Railway – and the end of steel – Dawson Creek is often considered the true “Mile 0” of the Alaska Highway. NAR Park is also home to the Dawson Creek Art Gallery, the Mile Zero Cairn – not to be confused with the Mile “0” Post located in Dawson Creek’s downtown core – the American Society of Civil Engineers plaque, a 50th Anniversary Celebration Society Interpretive Panel, and a Northwest Highway System Marker. There is also a historic railcar and a sculpture of a surveyor scoping out the highway on the park grounds. Dawson Creek, which flows into the Pouce Coupe River, is named for George Mercer Dawson (1849-1901) a distinguished geologist, naturalist and archaeologist who worked with the International Boundary Commission (1873-1875) and the Geological Survey of Canada (1875) surveying the Peace River Region in the 1870s. The Edmonton, Dunvegan and British Columbia Railway, and the Central Canada Railway contributed significantly to the development of the Peace River area during the early 20th century. In 1920, the Government of Alberta turned management over to the Canadian Pacific Railway (CPR). By 1929, the network of railways (now also including the Alberta and Great Waterways Railway, and the Pembina Valley Railway) were sold jointly to the CPR and Canadian National Railway (CNR). The CPR and CNR managed them under the ownership of a new company called the Northern Alberta Railways (NAR). NAR Station was constructed in Dawson Creek in 1930-31. When the railway arrived, it stopped ten kilometres northwest of Pouce Coupe, and just short of the original community of Dawson Creek. As a result, the community relocated to the railway and, before long, became the service centre for the Peace River Region. In 1936, Dawson Creek was incorporated as a village, and by 1941, the community had a modest population of 518. While the development of the Northwest Staging Route in 1940-41 resulted in a small influx of activity into the area, it was the decision to construct the Alaska Highway in March 1942 that would permanently transform the small community of Dawson Creek. Located at the end of steel for the NAR, Dawson Creek became the starting point for the highway, and a terminus for troops, supplies and equipment. 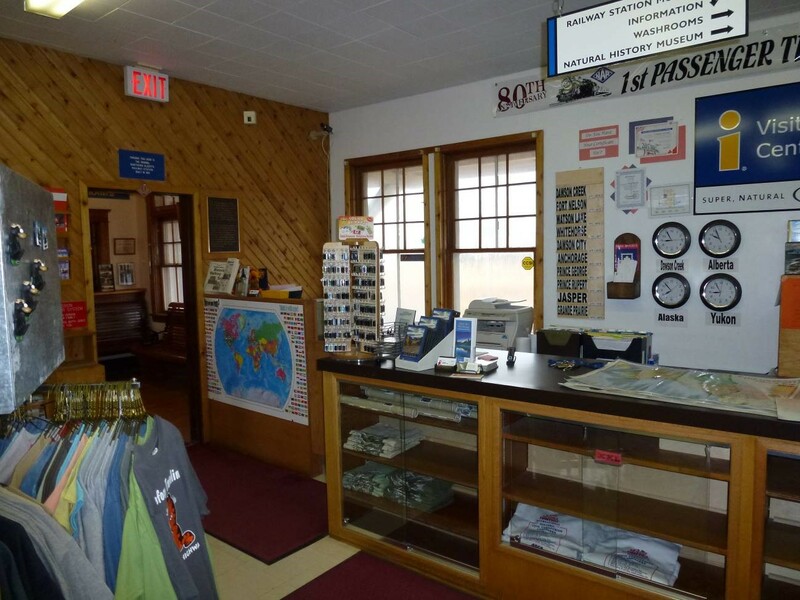 The NAR Station building was acquired by the South Peace Historical Society in 1977, and the four-acre parcel of land on which the station is located was purchased by the city in July 1981. 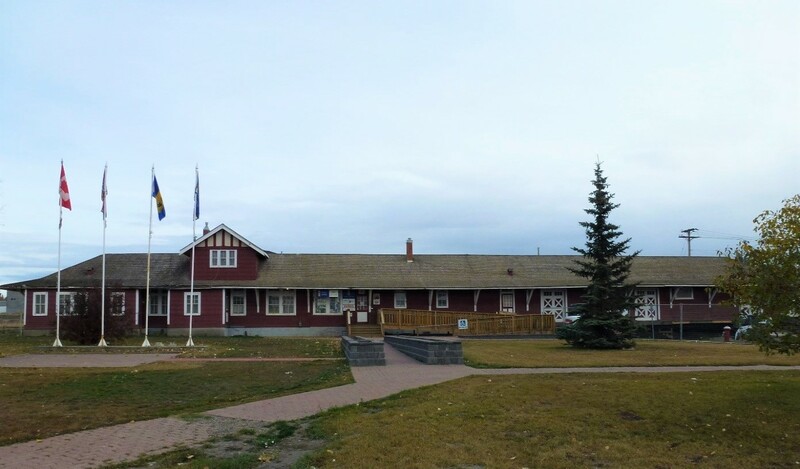 The Dawson Creek Station Museum and visitor center are currently housed within the historic station. For more on the history of the Peace area, see the South Peace Historical Society’s site: History is where you Stand. NAR Station is included in the Peace River Regional District’s Heritage Registry, and was designated a municipal heritage site in 1982.